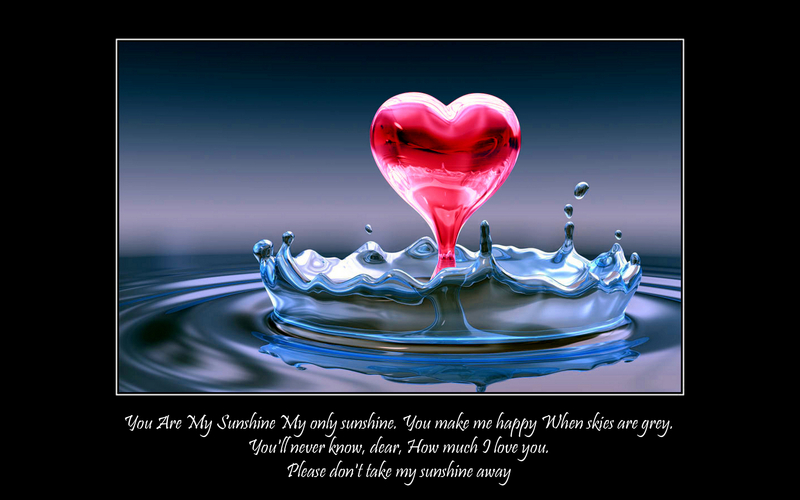 You are My Sunshine.... . HD Wallpaper and background images in the Quotes club tagged: quotes quote love saying words sunshine heart water heart red cool. This Quotes wallpaper contains vodka martini, martini, and strawberry daiquiri. There might also be daiquiri, rum cocktail, cocktail, and margarita.